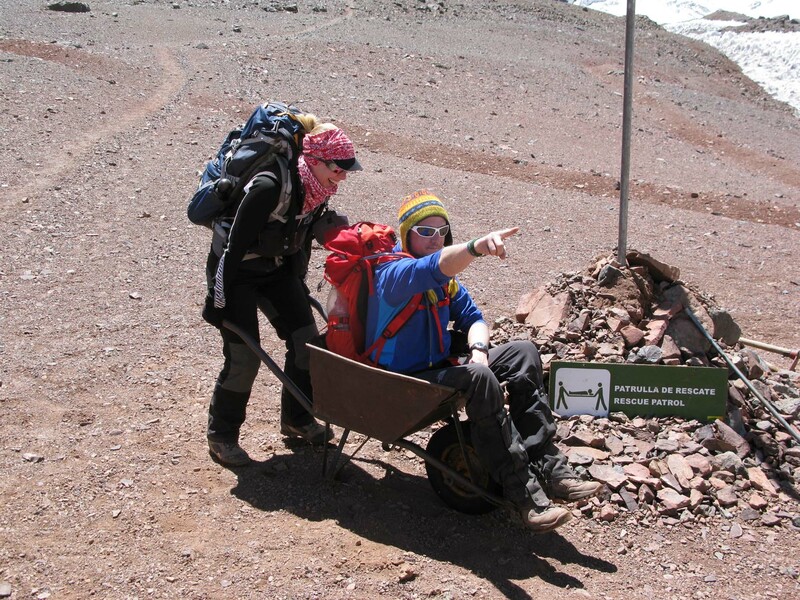 I have been guiding on Aconcagua since the early 1990’s and Rolfe started guiding here around the same time. We were both working as freelance guides for some of the most well-known expedition companies in the world. But even though we had a lot of resources at our disposal we were not getting the summit successes we hoped for. So, in 2007 we joined forces and formulated the plan which today is utilised by 360 Expeditions to much acclaim – but more importantly has got more folk to the top of the Americas than ever before. Here’s a run down of the factors which we believe have resulted in our successful summits. Expertise: We have been guiding on the mountain for 3 decades on 3 different routes, culminating in 33 summits for me and 12 for Rolfe. Since turning every other summit strategy on its head in 2007 we have continued to refine our program and have significantly improved our climbers’ summit chances ever since. Our expertise is not only confined to Aconcagua but extends further to all the other seven summits as well as numerous expeditions to 8000-meter mountains like Mount Everest, Manaslu and Cho Oyu. Both of us hold professional guiding qualifications with myself being a UIAGM guide and Rolfe being UIMLA qualified. 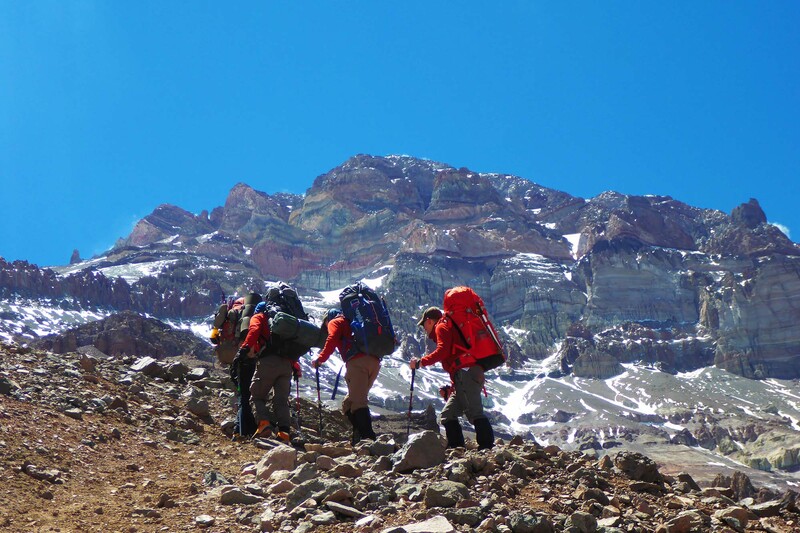 Long itinerary: We decided that for a huge objective like Aconcagua, a 25-day itinerary was needed to maximise success. We know from experience that acclimatizing is not only relevant to high altitude but also to the mountain’s weather conditions and high-altitude camping. By spending time on the mountain, our climbers get fully attuned to its diverse nature and weather conditions and it strengthens powerful bonds between team members. Best acclimatisation strategy: We were the first to begin the acclimatisation strategy of offering 3 nights at the Confluencia camp, 8 nights at Plaza de Mulas Base Camp and depending on conditions, between 6 and 9 nights at the high-altitude camps. We know from extensive experience that natural acclimatisation avoids unnecessary use of drugs or the use for “acclimatisation chambers” before coming out. Furthermore, we climb the striking Bonette Peak as part of our acclimatisation strategy. This 5,100 meter peak affords incredible views of our route on Aconcagua and mentally prepares our climbers for the ascent itself. Flexibility in program: By being flexible in our day to day running of the expedition we can adapt our program to our climber’s personal acclimatisation and fitness requirements. Since we are not working freelance we are not rigid in following an itinerary but adapt to the mountain’s moods to determine our movements and strategy. Our overall plan is to have one “rest day” after one “work” day on the mountain to allow our climbers to recover, rehydrate, eat great meals and take advantage of the lower camps’ excellent facilities. Comfortable camps: Home away from home facilities are offered at our base camps. (Confluencia and Plaza de Mulas). 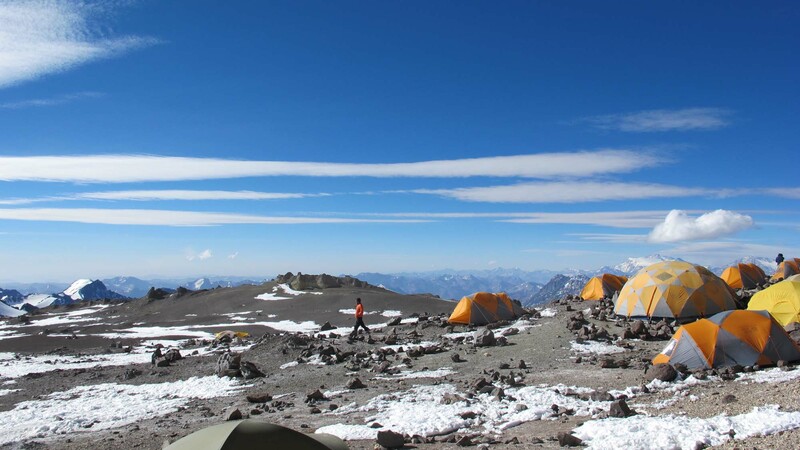 Heated recreation domes, free hot showers, free wi-fi, spacious 3-person tents for maximum 2 climbers, restaurant quality meals and permanent qualified base camp staff all significantly help our climbers to reach the summit of Aconcagua. Back-up for ascent phase: When our climbers are enjoying a rest day, us guides get to work. To save our clients needing to carry super heavy loads between camps, the guides start on the mountain before them to locate bomb-proof camping positions and to begin to carry up food and emergency supplies. In addition to this, we strategically employ porters to carry group luggage such as tents, stoves, fuel for the ascent phase of our program and to carry down human waste and rubbish when we descend from the high camp. For the summit bid, we additionally employ as many qualified Argentinian mountain guides as needed to make up at least a 3:1 climber to guide ratio. In combination, these factors ensure that our climbers will only be carrying up their own personal equipment between the camps and that their summit bid is not hampered by other team members needing to descend before the summit is reached. Office back up: Our efforts on the mountain are hugely supported by a seamless office team. These guys assure that all the behind the scene organisation is taken care off. We know that your ascent starts the second you leave for the airport and our office crew ensure that you will not be distracted by any organisational or logistical issues. We enhance our services off the mountain by including all National Park entry fees, 4 nights hotel accommodation in Mendoza, 3 restaurant dinners (including a well-deserved celebration meal) and of course all international and domestic airfares and transfers. Same same but different: The most important lessons we have learned by working as freelance guides for international companies is understanding what not to do. We offer all services considered as standard for an ascent of a mountain of this magnitude but in addition, provide our climbers with the benefit of our considerable expertise and know-how along with our boundless enthusiasm and ability to personalise your achievement. We are as eager to reach that summit as you are. Your success is our success. We aim to create an expedition experience that goes beyond the realms of a commercial expedition and closely approaches a life-changing experience. For more testimonials please do jump onto our testimonial page. 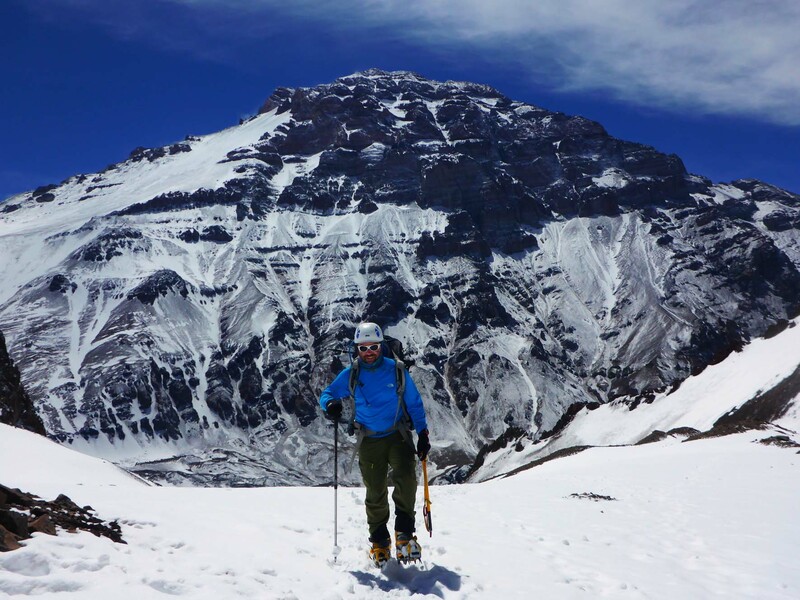 You are now informed on climbing Aconcagua with 360. 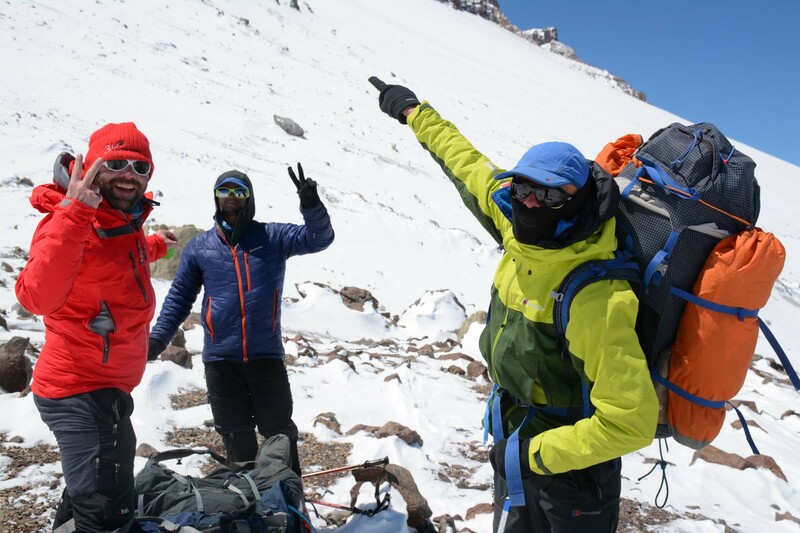 And if you are ready to jump in with two feet click here to find out the details on our 2019 Aconcagua expedition.